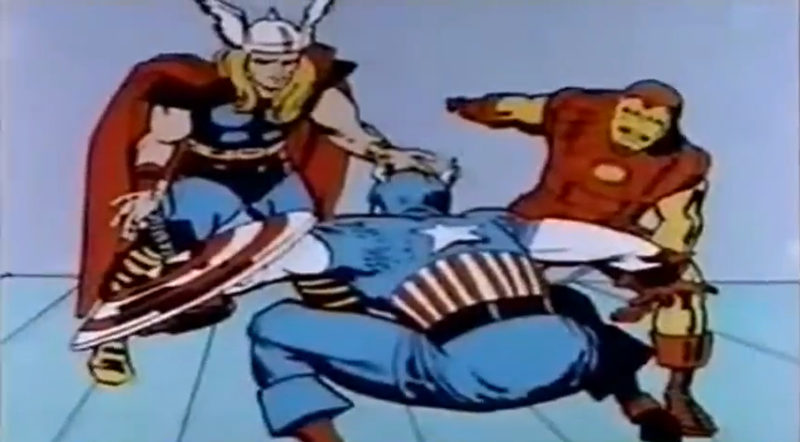 Here's an awesomely entertaining 1960's cartoon style re-cut of the latest trailer for Marvel's The Avengers. The recreated trailer takes the audio from the trailer and edits it together with animation clips from the classic 1960's Marvel cartoons. I recreated the Avengers Trailer from February 2012 with animation clips from 1960's Marvel TV cartoons. The only cheat was Nick Fury, but the clips are from his first appearance in an "Iron Man" episode from 1995. I also borrowed a Paramount logo from the same era to fit with the look. Black Widow was a tough find since she was a shadow character and appeared very rarely. Watch the reimagined trailer below, and let us know if you like it or not! Here's a side by side comparison of the two trailers. THE AVENGERS Trailer Set a Record with 13.7 Million Views!